Be it branding, testing the water or for laser-targeted conversions, Google Adwords is an excellent marketing tool. 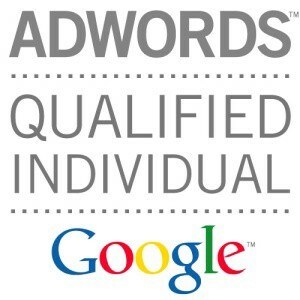 We can help you setup and manage a Google Adwords Pay Per Click account capable of achieving your marketing goals. Your advert can be live on Google’s 1st page results within 48 hours, targeting phrases that are key to your business. If you want your adverts to be front and center for keyterms relevant to your business, we can ensure that your adverts appear when your target audience searches online, helping to turn online searches into offline branding. If you want to increase the number of enquiries/sales made via your website, Google Adwords can help. We can create Adwords’ campaigns that drive targeted traffic to specific pages within your site. We can then test how these pages performed, helping you to select new page designs and layouts that increase customer conversion. Or perhaps you have a new offer that you want to test prior to launching expensive offline advertising? We can create a Google Adwords campaign that will deliver results within 96 hours. An effective Adwords campaign will reach your target audience within 48 hours and encourage them to enquire or buy via your website. We have experience creating and managing Adwords campaigns for small and large companies ensuring you get qualified help and support when wishing to advertise your business on Google.